Transactional Memory (TM) is a concurrent programming paradigm that aims to make concurrent programming easier than fine-grain locking, whilst providing similar performance and scalability. Several TM systems have been made available for research purposes. However, there is a lack of a wide range of non-trivial benchmarks with which to thoroughly evaluate these TM systems. This paper introduces Lee-TM, a non-trivial and realistic TM benchmark suite based on Lee’s routing algorithm. The benchmark suite provides sequential, lock-based, and transactional implementations to enable direct performance comparison. 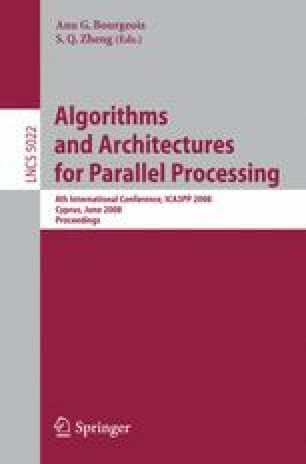 Lee’s routing algorithm has several of the desirable properties of a non-trivial TM benchmark, such as large amounts of parallelism, complex contention characteristics, and a wide range of transaction durations and lengths. A sample evaluation shows unfavourable transactional performance and scalability compared to lock-based execution, in contrast to much of the published TM evaluations, and highlights the need for non-trivial TM benchmarks.